Latham & Watkins has been named by The American Lawyer to its prestigious “A-List” for the 15th consecutive year and is one of only two firms to make the list since its inception. The American Lawyer assesses firms in four comprehensive areas — including revenue per lawyer, pro bono commitment, associate satisfaction and diversity. Latham & Watkins' lawyers, paralegals, and professional staff worldwide comprise a rich mixture of different races, ethnic backgrounds, religions, sexual orientations, cultures, and primary languages. Our diversity makes us who we are. Our commitment to diversity enables us to draw from a remarkable wealth of talent to recruit and retain the best lawyers in the world and to provide innovative legal solutions for our clients’ most complicated business challenges. The Diversity Leadership Committee (DLC) spearheads our global diversity strategy and initiatives, working to strengthen and promote the firm as a workplace where the best and brightest attorneys from all groups, including those traditionally underrepresented in the legal industry, excel and find the opportunities and support to fulfill their potential to become firm and industry leaders. The Women Enriching Business (WEB) Committee promotes women in business both inside and outside the firm. Through global and local efforts designed to create broader networks and productive business relationships, WEB works to attract top talent and support the long-term success of women. Recognizing the needs of our clients, lawyers and industry, we have developed a wide variety of programs and initiatives designed to enhance the diversity of our firm and the legal profession at large. Our global affinity groups for lawyers provide a firm-wide platform to share experiences, advice, and interests and to partner with clients and other external groups who have a strong interest in creating a more diverse profession. Our Multicultural Promotion & Attainment Coalition (MPAC) is an associate-driven, grassroots initiative in our practice offices that is focused on strengthening our culture of inclusion by recruiting, retaining, and promoting diverse attorneys through a variety of internal and external professional programming, including hosting educational and social activities. In order to provide top-of-the-line service to our global clientele, we recruit the best and brightest legal talent in the world. As part of this strategy, we dedicate significant resources to support the success and development of future lawyers who are deeply committed to diversity. Our lawyers are our most important asset. Accordingly, we design signature programs that deliver concrete results in terms of retaining and developing our lawyers into firm and industry leaders. For additional information about our efforts to promote diversity and inclusion among our professional staff, click here. We are a leader in conceiving, promoting, and implementing methods that ensure lawyers are hired, trained, and promoted fairly, with attention to the goals of equal opportunity and diversity in the practice of law. A brief sampling of the recent awards and accolades we are honored to have received follows. 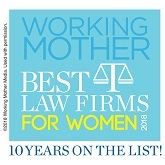 Named a “2017 Best Law Firm for Women” by Working Mother magazine and Flex-Time Lawyers (we have been named to this list every year since inception). Made The American Lawyer's “A-List,” which is based on four core professional values, including workplace diversity, for the 10th consecutive year. Received gold standard certification in 2017 by the Women in Law Empowerment Forum based on our percentage of women partners and women in leadership positions. Named a 2017 “Best Place to Work for LGBT Equality” by the Human Rights Campaign Foundation. Recognized by Equality Illinois for LGBTQ diversity and inclusive practices. 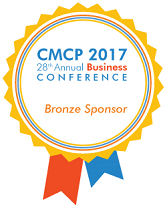 Awarded the 2017 “Best International Firm for Women in Business Law” and the “Best International Firm for Diversity” by Euromoney Legal Media Group. 12th Annual International Innovation in Diversity Awards. Highly commended in the Excellence in Diversity & Inclusion Category at the 2016 Law Society Excellence Awards in the United Kingdom. Awarded four Distinguished Family-Friendly Employer Awards from the Hong Kong Government’s Family Council for our policies for working parents. Named a 2015 Diversity Leader by Profiles in Diversity Journal. Latham ensures that lawyers are hired, trained and promoted fairly, consistent with our goals of equal opportunity and diversity in the practice of law. The firm’s EEO Review Board and Diversity Leadership Committee monitor and address issues relating to achievement of the firm's equal opportunity and diversity objectives. For more information, read the firm’s expanded policy.